I and at at least two others had contacted Jon Back over Nool having access to club offices etc. The response is fairly clear from Jon Back in that they are ok with it. "Thanks for your email Paul. I apologise for any lack of response – I did not receive any previous query from yourself. Plymouth Argyle – like most professional football clubs – uses a number of volunteers across a number of areas, & Ian is one of these. I can assure you that no information is being ‘harvested’ from the club – indeed we are currently strengthening our data protection processes as we – along with every other organisation – are preparing for the implementation of GDPR. I hope that this answers your query. You expect Nicki Errington to do your bidding for you? Why on earth would she? Contact the Club yourself if you have any complaints. For instance... Send Jon Back the photos that Newell posted, and ask him to explain how it is okay that Newell can display copies of Argyle's CCTV footage, etc? ...and anything else you can thing of? And how he sent his bully boys over to the lyndhurst stand to pass on threats to the Argyle fans and the only way he knew where the fan sat was through the ST data, The fans name was on PCC planning objecting to Brent developments quoting he was a ST holder. You can tell Jon Black that two data uses from Argyle on the same person by this person. I contacted Errington beacuse she is "office manager" and asked her to pass on to Back or Starnes if she couldnt deal with it. She did clearly neither. Just in case anyone doubts anything I say this was my response. When the hard proof lands next time (and it will because he cant help himself) I hope you remember this conversation. On an aside why is he releasing CCTV images from the club for that matter. You cannot be unaware. No need to respond but again thanks for initially doing so. i.e not letting Nool anywhere near it in the future. There is only so much Jon can say without Nool crying to Brent. as Peter Jones once said to me and another fellow ATDer after a brief conversation regarding Newell "You'll have to take it up with the organ grinder". The club have to decide whether having Nool as a volunteer is worth the reputational damage he does to PAFC. This is a person whose judgement is so bad he thinks nothing of taking a photo on his phone of CCTV without permission. He then decides to post it on Twitter and JBSOTI to garner support in one of his never ending feuds. Fu ck Argyle - his internet obsession comes first. Google just blocked someone from signing into your Google Account xxxxxxx@gmail.com from an app that may put your account at risk. Probably hack Harve's Gmail account to silence him emailing the club re his nefarious activities! Oh, look! Look at Harve's latest post above! Reduce the emails to facts you can prove. For example: Show the picture, and ask about it directly, and ask about it being published on an at the time open social media account and PASOTI. Allowing emotion and opinion on individuals as per your comments about Ian being an odious thug in the response instantly reduces how serious your concern appears, and I've seen copious companies throw this type of correspondence away without a reply. By turning this away from personal, and towards factual you give them far less wiggle room in the way they respond to and handle the email. Yarp wise words from Toejam. Agree totally, but when you say the "club" who exactly is that - Brent? It really is hard to figure out exactly what 'benefits' Newell brings to a supposedly professional club and why he is tolerated, the fact that he is, speaks volumes about the core values of Akkeron Argo as a business. One can only dream that somebody takes control one day and wipes out the toxic culture that exists at the club. Oh I forgot we on ATD are the vile and poisonous ones. The reluctant one is the organ grinder. He knew that he needed the likes of the Windsor Boys and the wannabe culture they have created, from the outset. Without them and other compliant employees, the natives would have become restless by now. As such the first email to the likes of Back will always be polite but subsequent ones slightly stronger. I would like to politely ask as to what official capacity Mr Ian Newell holds within the club....?? 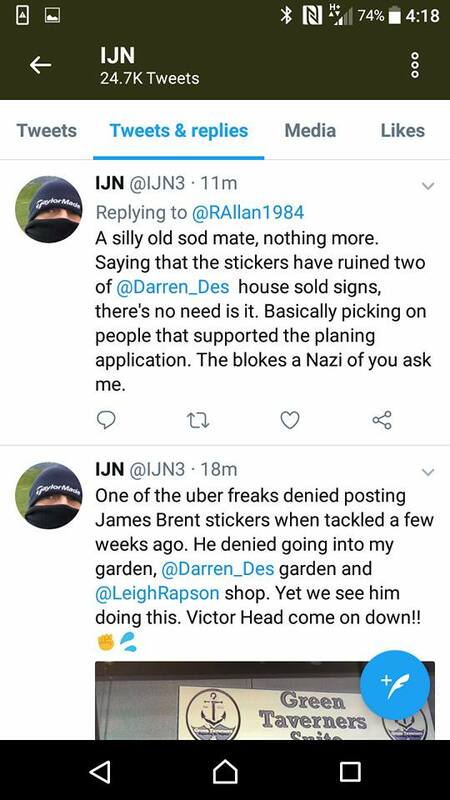 I reported previously his hanging around the club offices harvesting details of supporters liasing with the club to Mrs Nikki Errington suggesting she passed it to a high level inotherwards yourself or Martyn Starnes. Clearly it would appear she did neither. This is a polite email but the next one after the 25th May wont be if this access doesnt desist immediately. Of course if he holds an official capacity then I apologise it goes without saying. I think the questions can be boiled down to the following. 1. What role does Ian Newell have at the club? 2. Does this role necessate access to customers personal data? 4. Ia the club aware that he has shared CCTV footage on social media? 5. How does the club propose to prevent similar breaches going forward especially in light of GDPR directives which come into force today? I think you need to re read the constructive criticism Harve and don't take it so personally. Using any kind of insult or expletive would give the club an excuse to bin the email that is all. Fair play for doing it I don't think anyone would criticise you for that. I think the question of how Newell can have access to and post club cctv is a genuine one and the club should answer it.